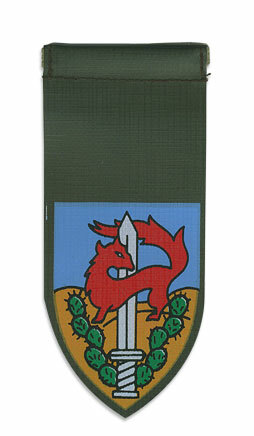 IDF Givati Tag. Typically, each IDF unit (yehida) has its own shoulder tag. Shoulder tags consist of a long section and a tip, which can be one of four shapes: a circle (commands, directorates and air force units except anti-aircraft), a square (Golani Brigade), a diamond, or a shield-like shape (most common). The Givati Brigade Functions as the amphibious force and is one of the infantry brigades in the Israel Defense Forces. Givati soldiers are designated by purple berets. 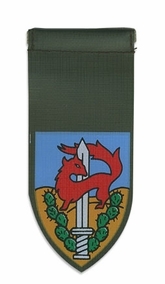 The Brigade's symbol is the fox, alluding to Shualei Shimshon (שועלי שמשון, lit. Samson's Foxes), a unit in the 1948 Arab-Israeli War.